A Dictionary of Early Christian Biography - A substantial article in a free PBB you can download here. A number of references in Philip Schaff's History of the Christian Church - This is a free PBB you can download here. The "Confession of St. Patrick" (his autobiography) along with the "Breast-Plate of St. Patrick" and the "Shield of St. Patrick" - This is a free PBB you can download here. The Encyclopedia of Christianity - I only have the first 3 vols, but I have to believe that the recently released vol. 4 must have an article on Patrick. The Oxford Dictionary of the Christian Church - I don't have this one either, but I'm sure you'll find Patrick here too. Still want more? There's always Wikipedia! [UPDATE] Phil Gons has now posted an article on the Logos blog, "Using Libronix to Learn about 'Famous' People." 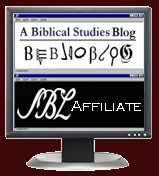 He has some helpful suggestions on other ways to find information about persons in Logos.